Dr Irina Roncaglia is a Chartered Sport and Exercise Psychologist and Fellow of the British Psychological Society (BPS) based in London and working for the National Autistic Society (NAS). She graduated from Roehampton University with a BSc (Hon) in Psychology and Dance Studies and gained a PhD in Life Course Development Studies from Birkbeck, University in London. Irina has worked for the last 15 years for the National Autistic Society, supporting autistic people and their families and leading training in Autism and Learning Disability. She has also worked as a consultant for the English National Ballet advising and supporting elite performers through injury rehabilitation, stress and anxiety management and optimal performance. Prior to this, Irina has worked as a professional performing soloist dancer with the English National Ballet (ENB) for over 14 years. Irina’s research interests is multidisciplinary focusing upon the understanding and development of wellness, well-being and resilience in performing artists and people with autism. She is also interested in people’s engagement and optimal performance through the application of positive psychology and strength-based frameworks. 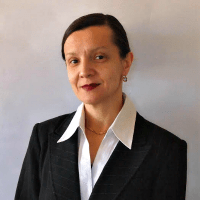 Irina serves on the Editorial Board of Psychological Thought and Psychreg Journal of Psychology.